Summary:The only difference between samsung galaxy S7 and LG G5 is that galaxy S7 comes with a water & dust resistance ability. S7 has also the feature of better performance in low light camera, and it is more faster while and having more efficient processor. On the other hand, LG G5 comes with dual rear cameras so the device can catch a larger area and having larger display than previous devices of LG. And having a great feature of interchangeable battery. 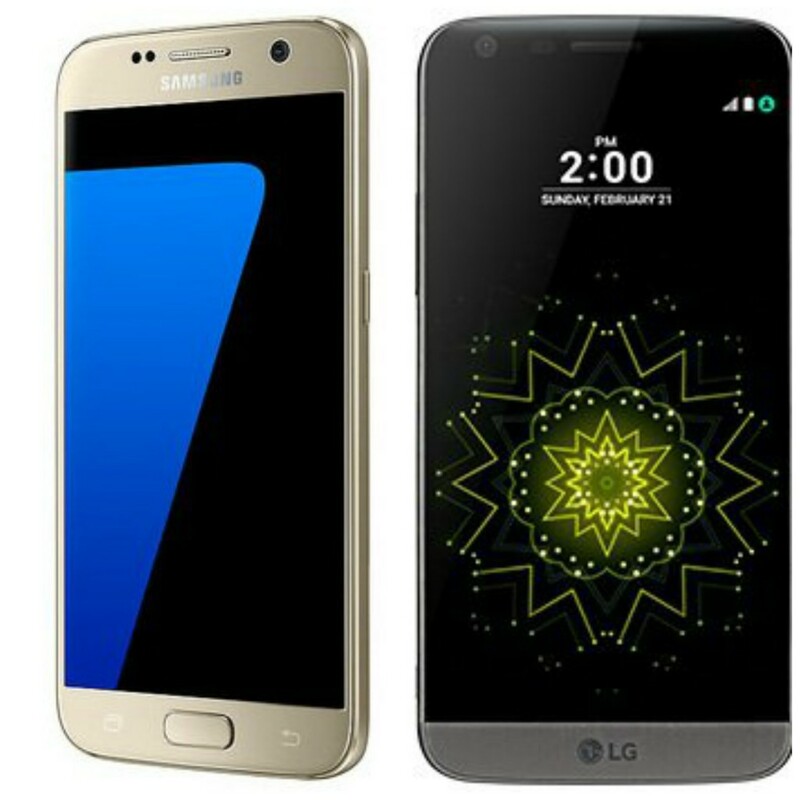 Both devices are eye catching and efficient but let’s find out the difference between galaxy s7 and LG G5 by reading below article. As in style, Galaxy S7 is very much similar to galaxy S6 in different ways. The rounded edges are made of metal same as in galaxy S6. This device of galaxy comes up with a water and dust resistance. As this device can be drowned in a depth up to 1.5 meters for about 30 minutes. The size of the display is 5.1 inches, and the display uses QHD super AMOLED technology to power it. The resolution of the display is 1440 X 2560 pixels, which is quite sharp, and you can’t see the individual pixels by which screen is made. According to samsung, S7 is coming only with 32 GB built-in storage memory. And having the ability to support up to 288 GB as an external storage which is simply cool. Galaxy S7 comes with a cool memory of 4 GB. Galaxy S7 comes with an operating system Android 6.0 Marshmallow. Now LG is making lovely smart phone but can’t be the #1 smart phones selling brand. But hope so LG G5 will give them a hit. The size of the display is 5.3 inches, and the display uses IPS Quantum display. Even after when the screen turn’s off the part of the screen will remain active to show time and date to the user. LG G5 using Qualcomm Snapdragon 820, with a quad-core processor. An Adreno 530 processor is used to power the graphics. LG G5 is coming with a built-in storage of 32 GB, and 23 GB storage can be used by user. LG G5 will be a hit phone having cool memory of 4 GB. LG g5 comes with an operating system Android 6.0 Marshmallow.